Leah's Crafty Life: This little engine DID! 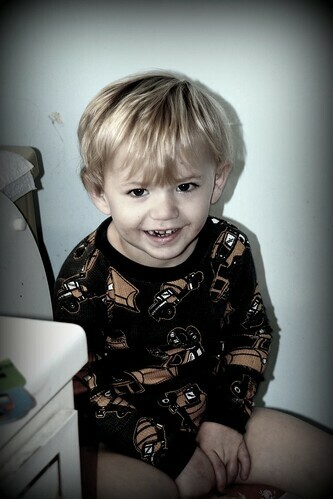 Congrats on the potty training... and I think I like your Twilight Counter more then mine... and a Twilight Playlist... I'm so raiding your blog! BTW, I LOVE your blog header! Oh, happy day!! Congrats to the big boy!! LOVE your spooky playlist and Halloweeny blog! I love, love your banner! So cool! Like the Halloween themes on the blog!